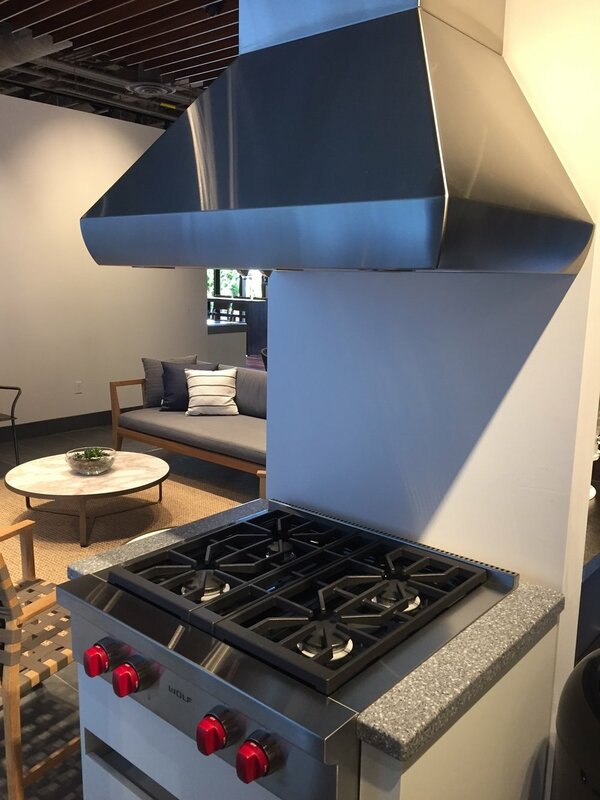 During a recent trip to the Subzero & Wolf Showroom at Clarke in Boston, Classic Kitchens & Baths Intern Ken Rooney was able to tour this newly built showroom and learn more about these american based appliance brands. Having the chance to see the newest products up close and personal was a great opportunity. One of the great new findings this trip was that Wolf is now offering a 30" & 36" induction range in both the professional and transitional options. For all those clients that want the look of the professional range and oven with the smooth glass top of an induction unit this checks the boxes. Another interesting and fascinating fact was learning about how these appliances are "smart" and how by using the programmable touch screens the ovens to aid you in making your gourmet meals. These gourmet settings will walk you through what you want to cook and help you program the appliance correctly for flawless results. The Clarke Showroom Manager was able to also walk him through details of how a steam oven works and the many uses it has for cooking. Clarke does this with every client that comes through the door. Everyone can get a guided tour, learn about the products and ask the questions to find out what appliances are the right fit for their lifestyle and cooking style. Clarke also has a team of chef's and demonstrations are also given in the showroom to show clients how they operate and give them more of an understanding about using and living in a Wolf/Subzero Kitchen. Another standout item on his list was the Sub-Zero units with Built-In refrigerator options, he especially liked the built in wine cooler unit that was integrated with a built-in refrigerator/freezer unit. So even when there is no room for a separate wine cooler you can just build it in! 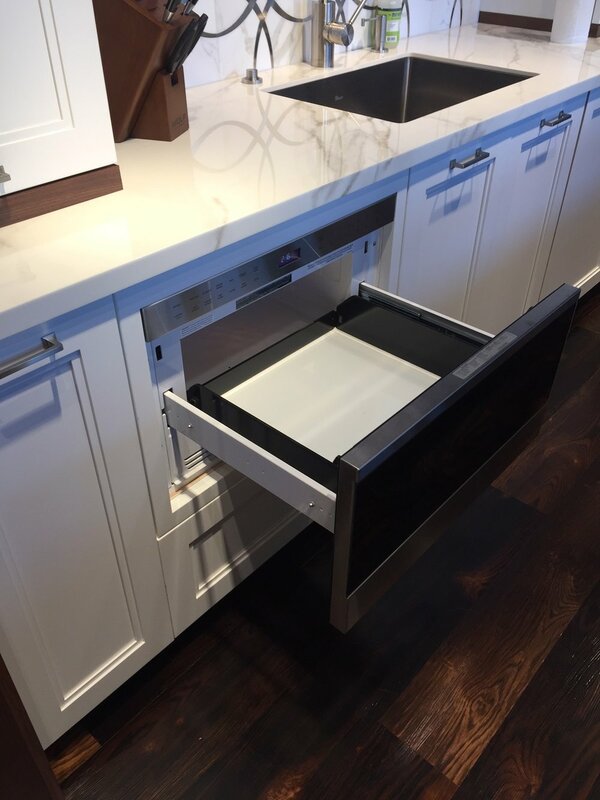 The refrigerator and freezer drawers are still as impressive and functional as when they first hit he showroom floor making kitchen design and refrigeration seamless. In addition to these two american made brands Clarke also represents Waterstone Faucets, the faucet display and the faucets were very impressive and were used in the kitchen displays as well. If your remodeling or building a new home and are considering this kind of investment in your appliances Clarke is a great way to start your journey. Showrooms are located in Boston, Milford MA and South Norwalk CT. 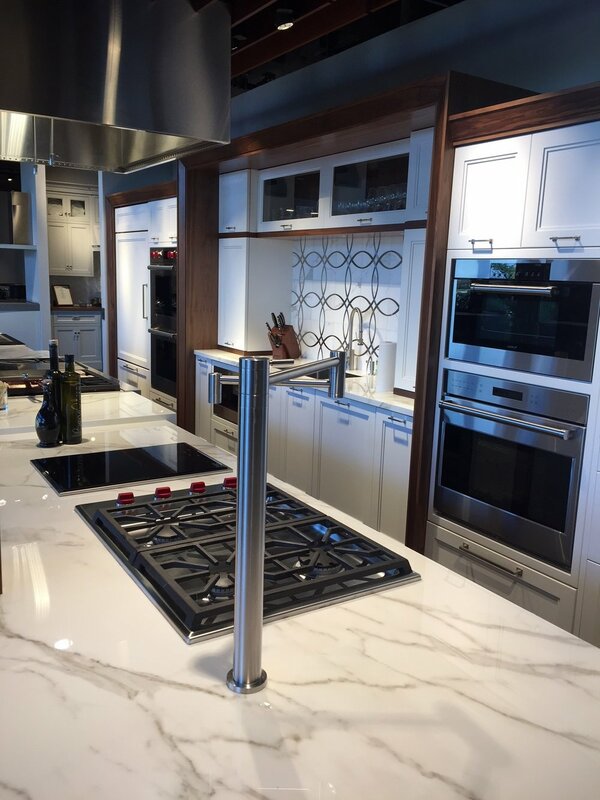 These showrooms are also great to get a feel for what you might like in a kitchen for your cabinetry, with Transitional, Classic and Contemporary displays that show much more than just the appliances it is a great place to visit. 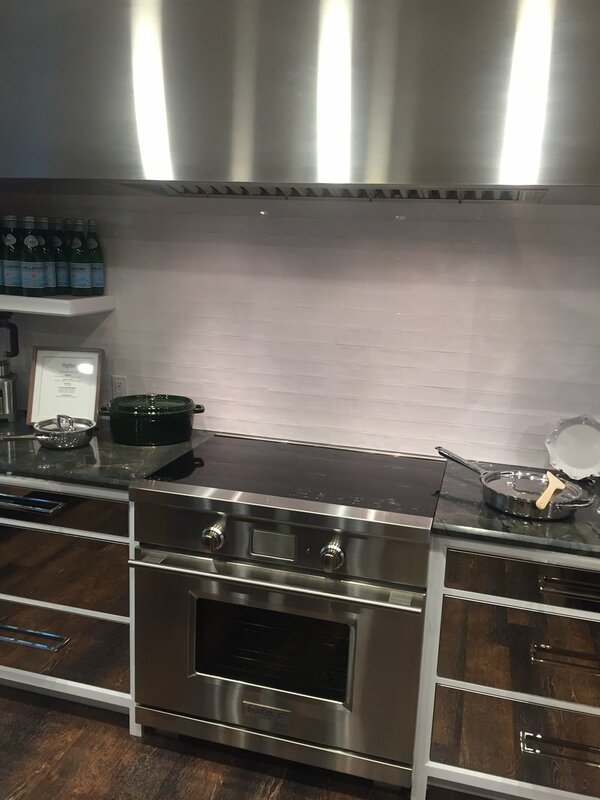 We highly recommend visiting the team at Clarke to learn more about Subzero and Wolf appliances and start the journey to cooking like a gourmet chef in your living kitchen!